Communication systems have been designed and implemented to ensure that participants and stakeholders are informed of developments in a timely and efficient manner. 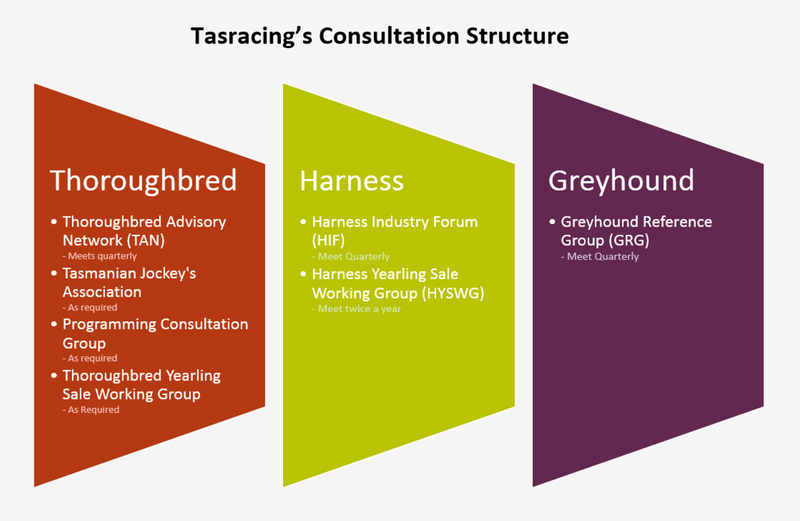 Tasracing recognises the importance of gaining the views of stakeholders and is committed to ensuring that where decisions are made that affect stakeholders they are consulted in an appropriate manner. The sharing of relevant information about matters affecting stakeholders. Stakeholders being given reasonable opportunity to express their views and raise issues in relation to these matters. The views of stakeholders being taken into account when Tasracing makes its decision(s) in relation to these matters. Relevant stakeholders being advised of the outcome of decisions in a timely manner.